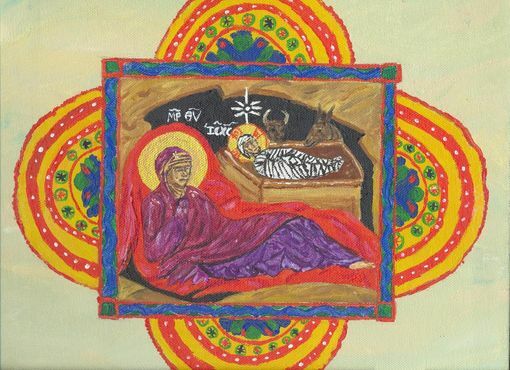 Painting/Icon: "The Winter Pascha: Nativity"
My first attempt at Iconography, ended up being a bit of a mix between Celtic and Byzantine Styles. Not exactly what I wanted, but it still looked pretty nifty. It is based on a Byzantine manuscript dating from about 1100 A.D. 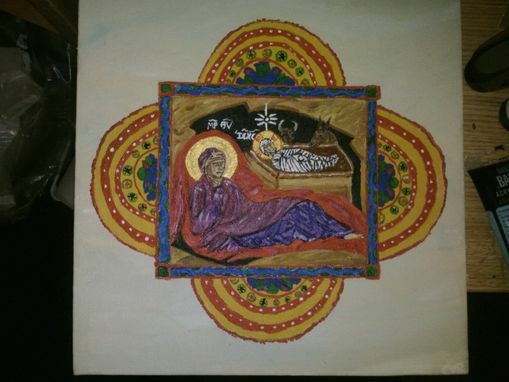 This image was 12"x12"